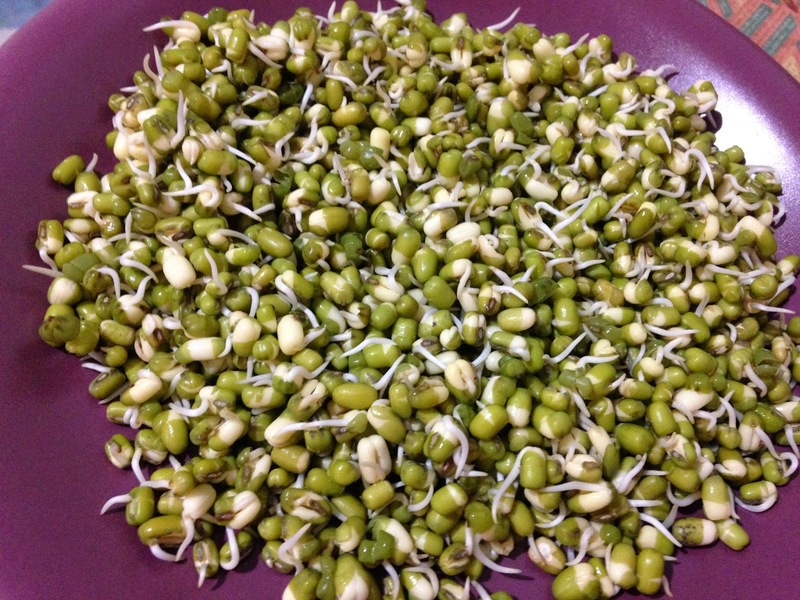 So, after I made the Sprouted Chana Chaat with my new sprouts maker, I was all excited to try out other things. 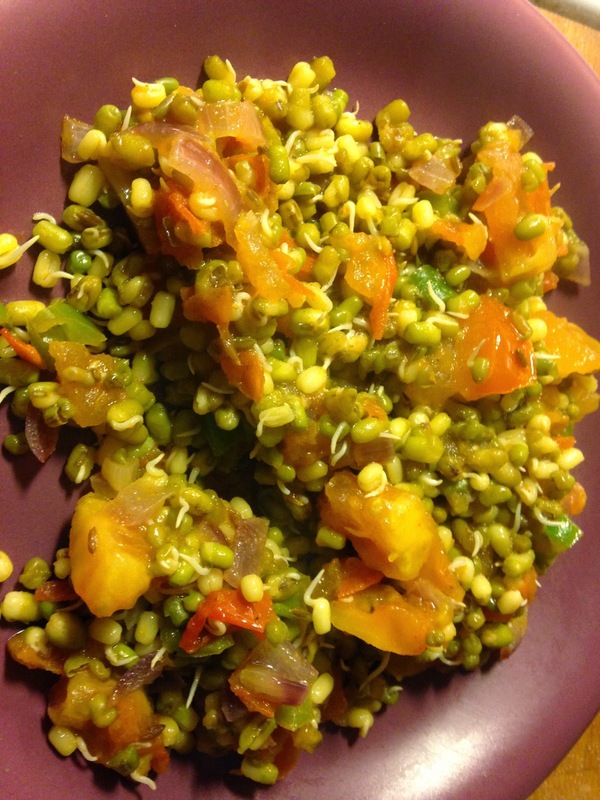 So I sprouted green moong dal and made a chaat using the same. In India, we used to eat them raw as salad, with raw diced onions, tomatoes and green chilli in it. But I fried it a bit because I couldn't it it cold for the evening snacks in the cold season. Heat oil on medium flame and splutter the cumin seeds. Saute the onions a bit, add the tomatoes and green chilli. Don't cook for a lot of time as you want to eat this as a chaat, not a dal. Add the sprouted daal and the spices. Mix quickly, turn off the heat after a minute. Sprinkle lemon juice and serve.